For Michelle, there’s no better Mother’s Day gift than her children’s success. 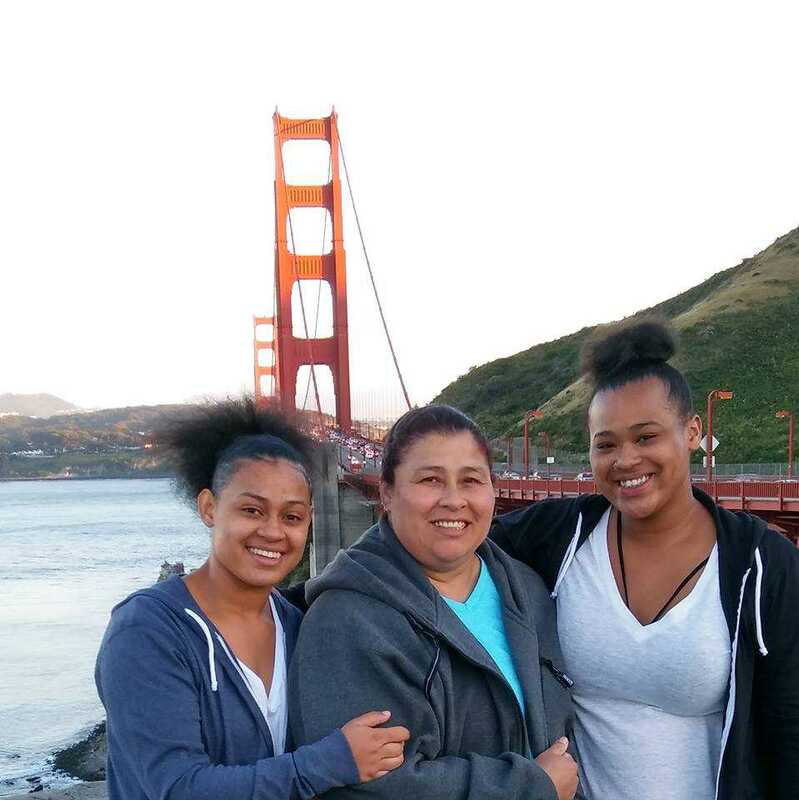 Even when her family was homeless, Michelle’s resiliency and courage helped her family shine. Learn about how Michelle and her family thrived with help from Father Joe’s Villages. Michelle has always gone to extraordinary lengths to put her children on the path to success. She made sure that they were kind to each other. She made sure they did their homework and studied to achieve good grades. She made sure they participated in extracurricular activities like sports, student leadership programs and music. They were a close knit family who supported each other through thick and thin. When the father of Michelle’s six children became an alcoholic and turned abusive, Michelle and her children left their home looking for safety. Overnight, the family packed their bags and headed out to an emergency shelter. Eventually, Michelle and her children landed at Father Joe’s Villages. After a period of adjustment, Michelle began to utilize all of the services Father Joe’s Villages has to offer. She participated in the classes and resources at the Employment and Education Center and earned her GED through the support of our helpful staff. Michelle also received dental work through the Village Family Health Centers’ Dental Clinic, which gave her a great smile and made it easier for her to eat, speak and find employment. Throughout this experience, Michelle’s children demonstrated incredible resiliency due to their strong familial bonds and robust work ethic. Father Joe’s Villages’ literacy program and after-school programs also helped the children and teens stay on track. Knowing her children were safe in the hands of our capable staff, Michelle was able to train and look for work. She completed the Culinary Arts Program, receiving education and experience in the food services industry. This helped Michelle get a job at a local restaurant and save enough for another apartment. The family moved out and has now been safely housed for over 10 years. Michelle has since returned to Father Joe’s Villages to work as a Residential Program Specialist, using her knowledge and experience to give back and help current neighbors in need. Tricia will be graduating in May with a Master of Social Work. She also has a career in Medical Logistics for the U.S. Army and will be promoted to Captain this year. Desiree is in her third year of university and is working toward a double major in political science and business. In high school she was valedictorian and prom queen. Destiny graduated with good grades and went to college to study criminal justice. Dafferine has stable work as a custodian and started a beautiful family. Trinity is in high school and is a star varsity soccer player, student body treasurer, junior class vice president and a straight-A student. Tristan, the youngest and in middle school, is on the football team and plays five instruments. As Mother’s Day approaches, it’s important that we recognize the hard work, sacrifice and dedication of mothers struggling with poverty and homelessness. However, without your support, even incredible mothers like Michelle would find themselves alone on the streets with their children, without safety, childcare and hope. Although her family faced incredible challenges, gifts from donors like you changed Michelle’s life, and put her family on the path to great success! This Mother’s Day, honor all mothers in San Diego by giving a Mother’s Day gift to Father Joe’s Villages. Help us provide the tools for a better future to hundreds of children and parents each year. With a donation of only $58 you can provide one night of housing, food and security for a family of four. Thank you to all mothers for making the world a better place.